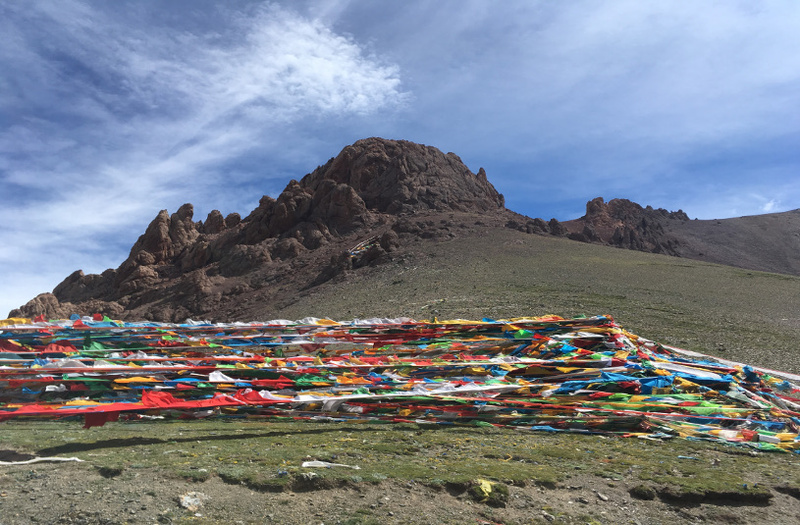 Join YPT on the roof of the world for our pilgrimage to Tibet. 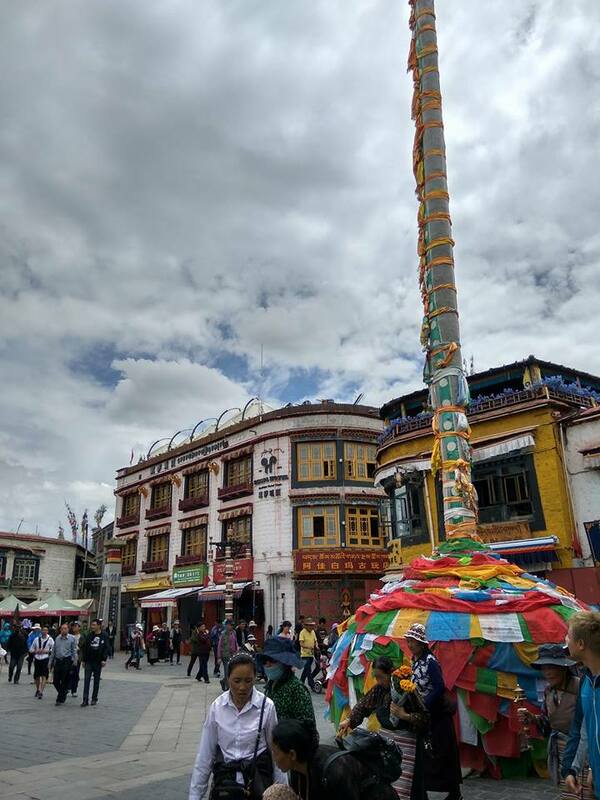 In this tour, we combine the main sights in Lhasa with a trip to Namtso Lake, passing through some of the most beautiful scenery in the world, and also in Namba villages where we can see more about what life is like outside Lhasa. 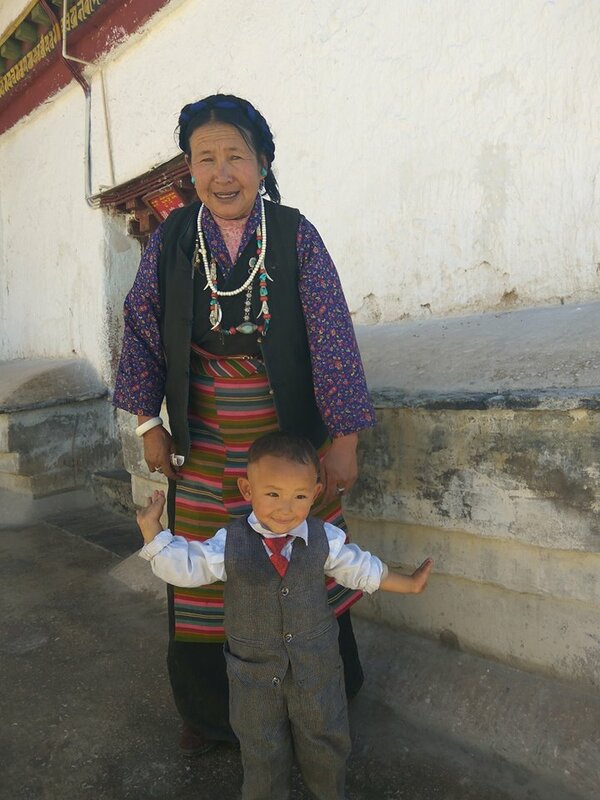 On this tour, we employ local Tibetan guides, making sure we get an interesting and authentic point of view on the situation in Tibet! 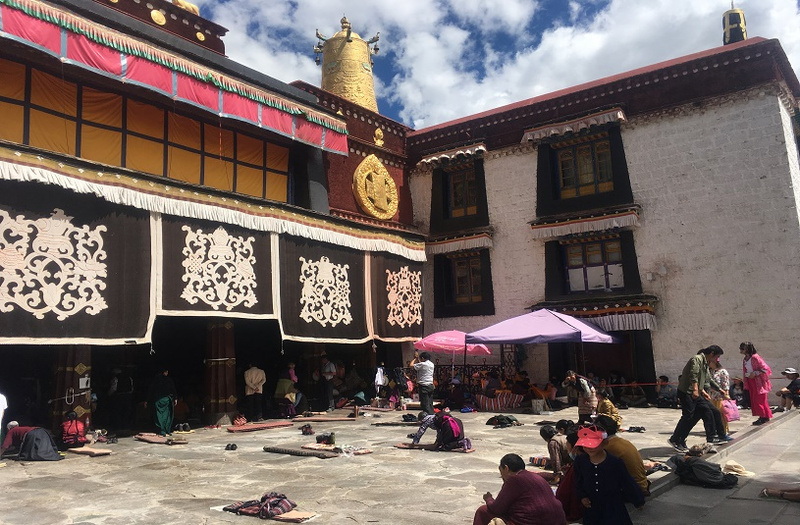 We’ll spend a couple of days in Lhasa looking around the Potala Palace and other lesser-known monasteries, as well as the Tibet Museum, where we learn the Chinese interpretation of Tibetan history and the role of British imperialism in the area. 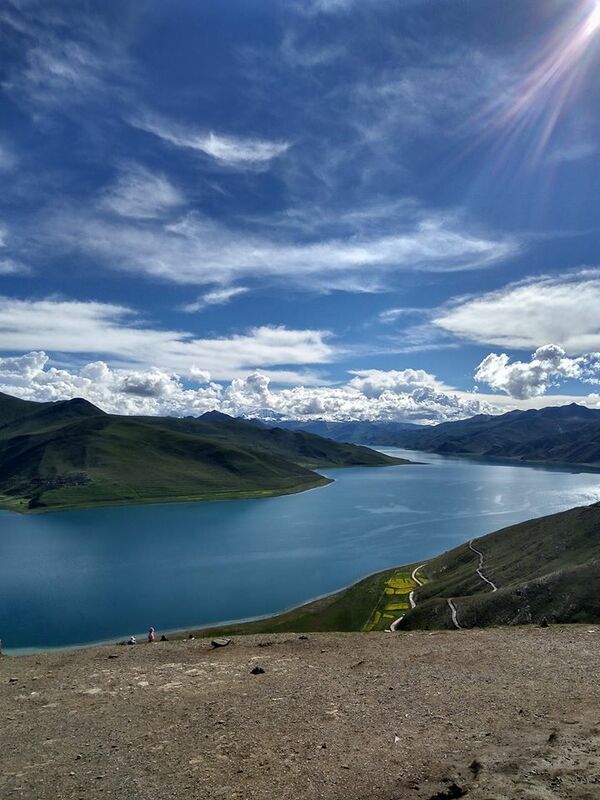 Then will spend a day out at the breath-taking Namtso Lake, the highest salt-water lake in the world. We will also spend a day looking around Tibetan valleys before taking the train out from Lhasa, the highest railway in the world! On Group B we will heading up to Shigatse and Gyantse, passing ever more stunning mountains and spending a night at the monastery area before going up to Everest Base Camp for some awesome views on the true roof of the world. 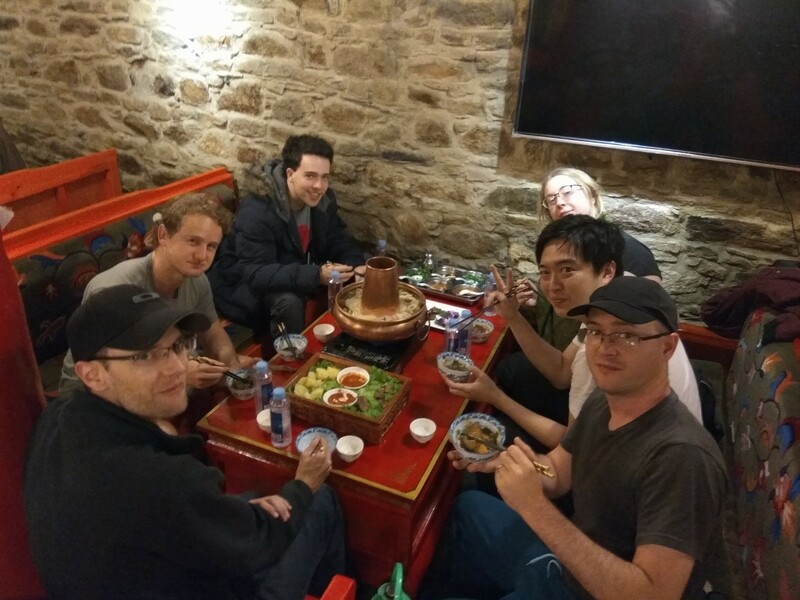 This tour starts and finishes in Beijing/Shanghai or Xi’an/Chengdu, with transportation in and out included, which we are one of the few to offer! We can also arrange travel from anywhere in China depending on your plans, get in touch for a quote! How about combining this with our Victory Day Tour or Victory Day and Mt Paektu Tour to North Korea on our combo tour for extra discounts? 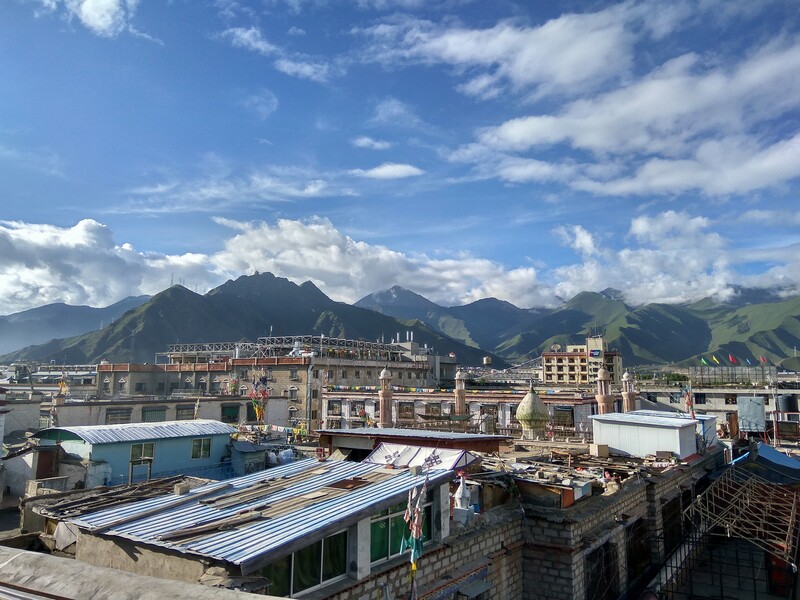 Check in to the beautiful and welcoming Tashitakge Hotel deep in Lhasa’s old town and start acclimatising to the altitude and getting to know your guide and fellow travellers. First things first, we’ve got to visit the world famous Potala Palace. This was the residence of the Dalai Lama until he fled to India in 1957, but had been the main seat of Tibetan government for centuries. Set on the mountaintop this is a site not to be missed! Join the pilgrims on the Pilgrims Path for a walk around the palace. 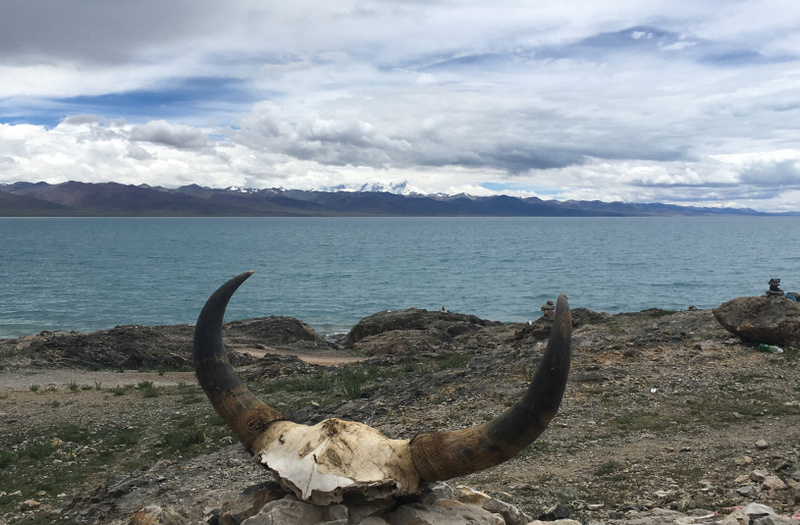 Drive to Namtso Lake through stunning scenery and high mountain passes, stopping for photo opportunities as often as we want. 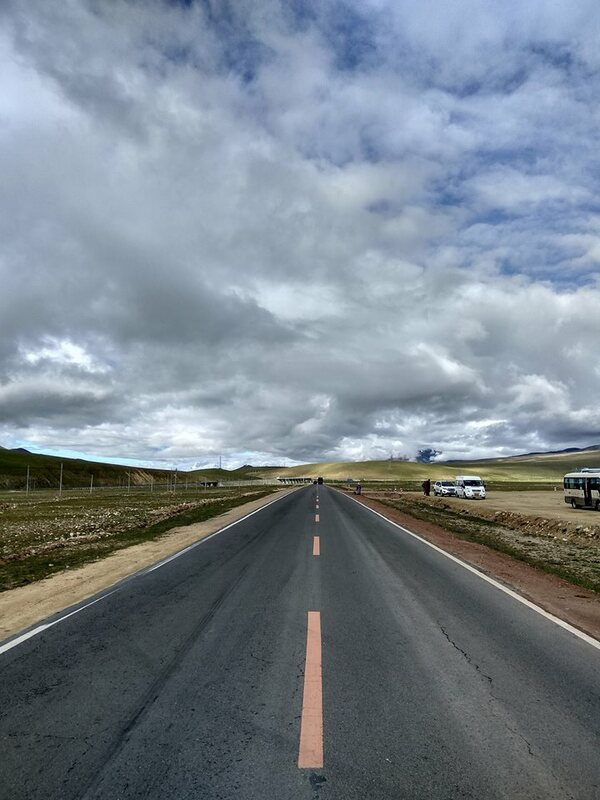 Although it’s only just over 100 kms from Lhasa the winding, bumpy roads means it might take up to 4 hours, but the scenery makes the drive itself worth it. 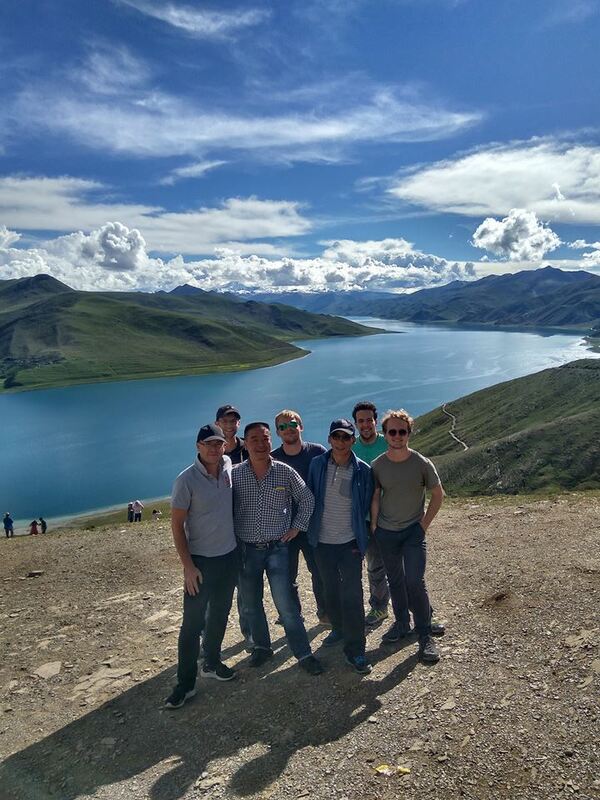 Hiking around Namtso Lake. We can ride horses down to the lake or walk around on foot. 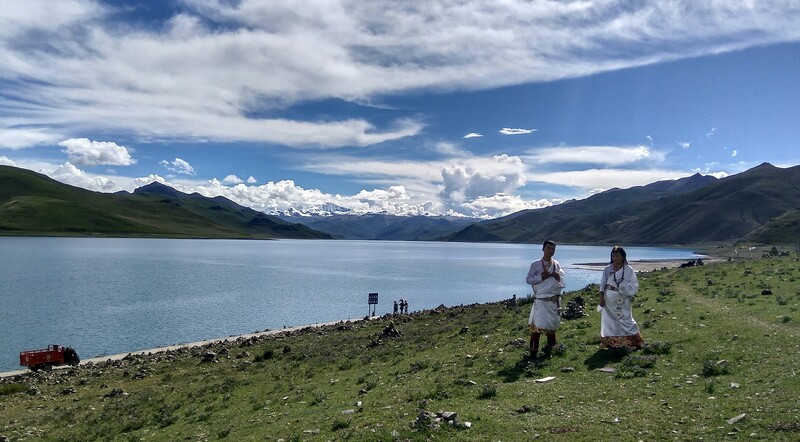 See who can get the best views for a photo or just hang out by the lakeside with the local Tibetans. Head to the Tibet Museum with exhibitions on Tibetan culture and history and a section on British imperialism in the area before 1949, a good chance to learn the Chinese interpretation of Tibetan history. 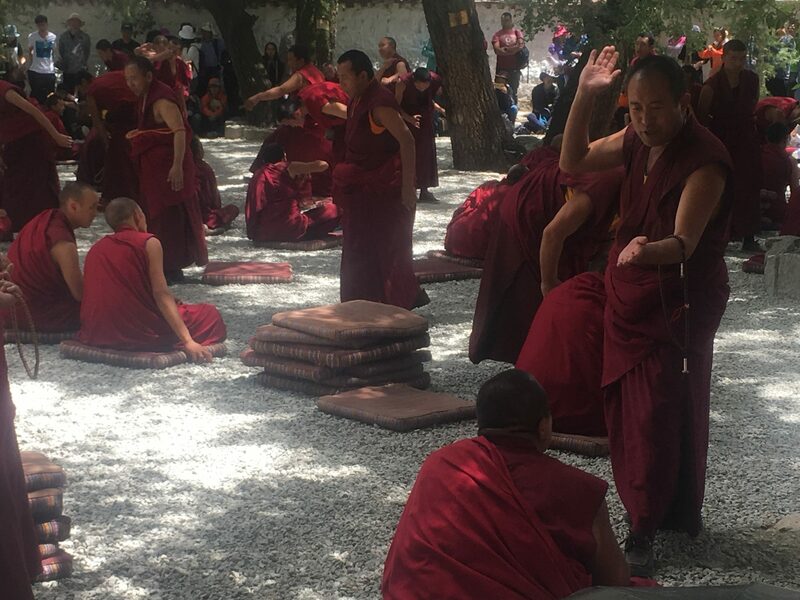 Visit the Sera Monastery where if we are lucky we will hopefully see the monks doing their customary afternoon debate. 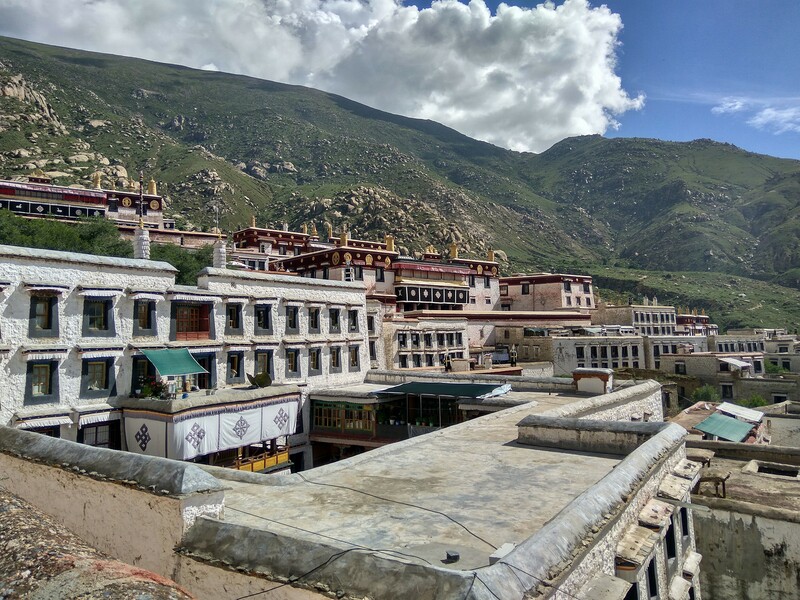 This monastery is one of the big ‘university monasteries’ of Tibet. 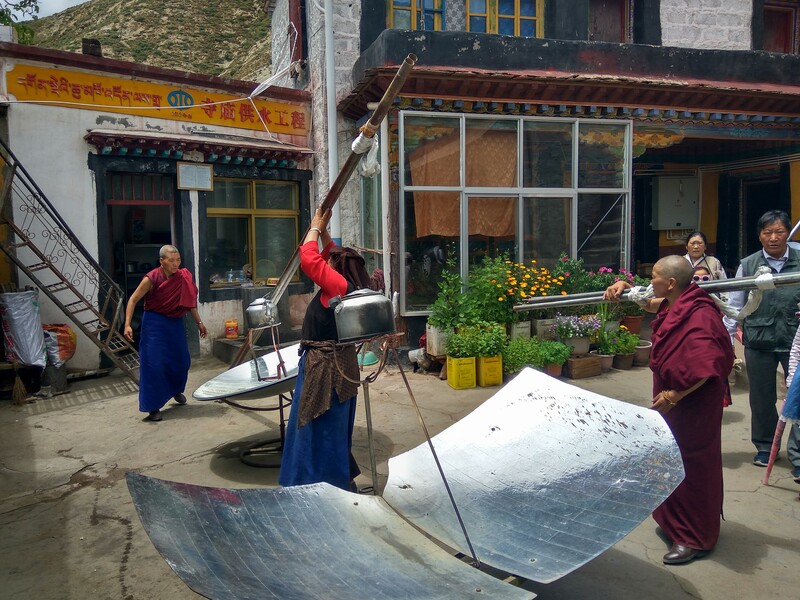 Drive out to typical Namba Tibetan villages. 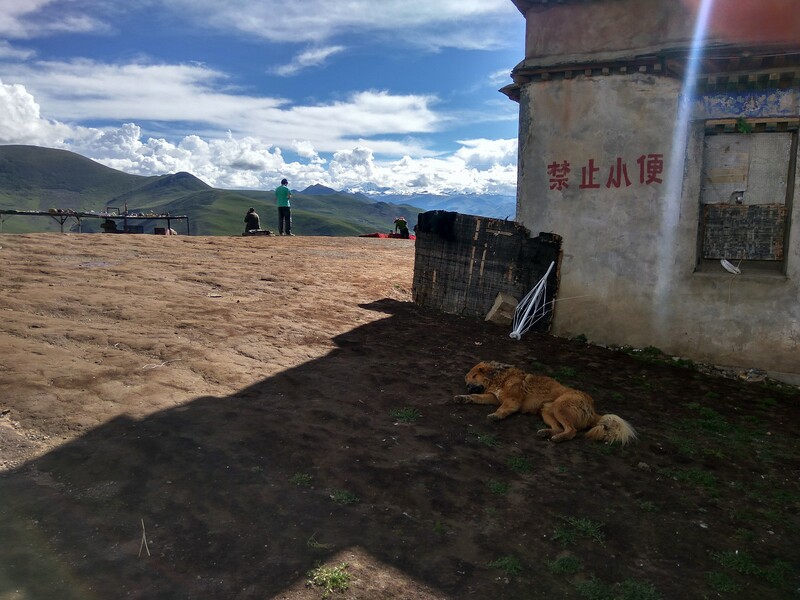 Here we can get a picture of what life is like outside of Lhasa and the main urban centres, buy some things at the local markets, eat in local restaurants and chat with the locals. Look around the villages, go horse riding or hiking in the mountains, take in the fresh air, blue sky and stunning scenery. Drive back to Lhasa and hit the town for our last night in Tibet. We’ll visit the Tibetan bar street to see what the locals do on a night out in Lhasa! 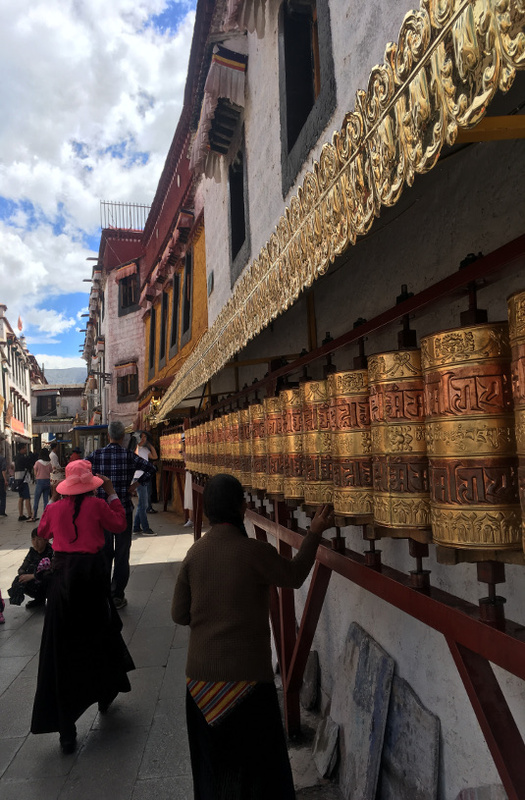 GROUP A has a free morning for a last look around Lhasa and to get provisions for the mammoth train journey before taking the train from Lhasa to Xi’an/Beijing. 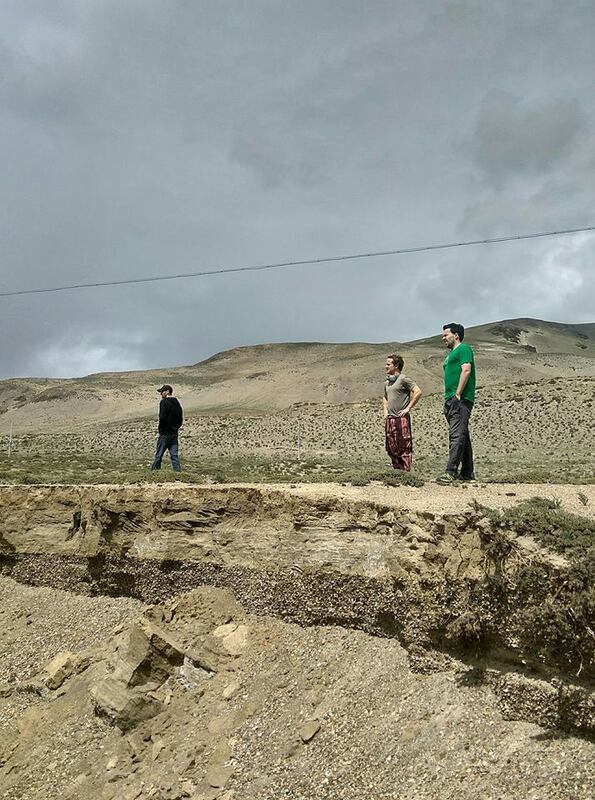 Although it’s a long journey, we will be travelling through stunning scenery and will have stocked up on Lhasa beer or Tibetan barley wine for the journey! GROUP B starts the roadtrip up to Everest Base Camp. Today, we’ll drive past the green Nyangchu Valley and Yamdro-tso lakes, with many stops for breathtaking photo opportunities. Our goal of the day is Shigatse. But we will stop in Gyantse to visit Kubum monastery and have dinner in a local restaurant. Evening arrival in Shigatse followed by a walk around town. 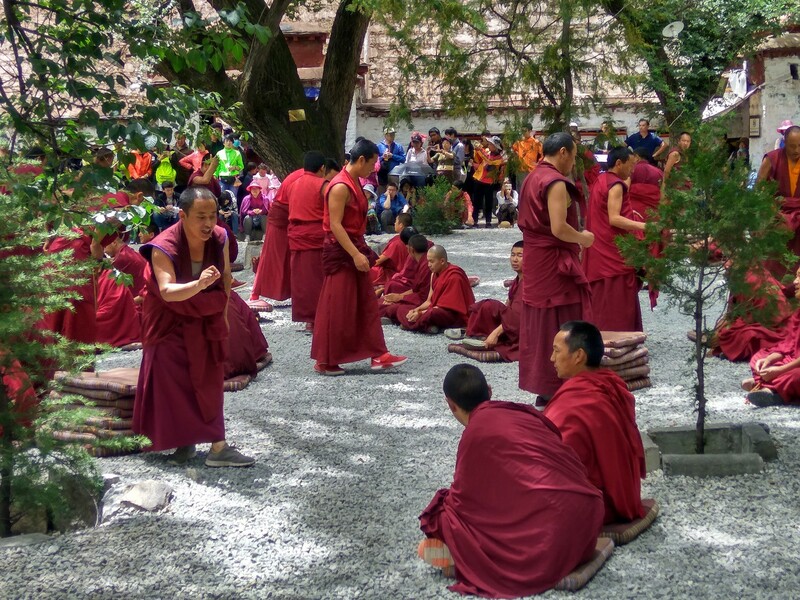 While we are in Shigatse, we will visit the largest monastery in western Tibet, the Tashilunpo Monastery. It is an extremely important site for Tibetan Buddhism as the temple is the seat of the Panchen Lama. After lunch our leg towards the Everest Base Camp as we drive westwards toward it. 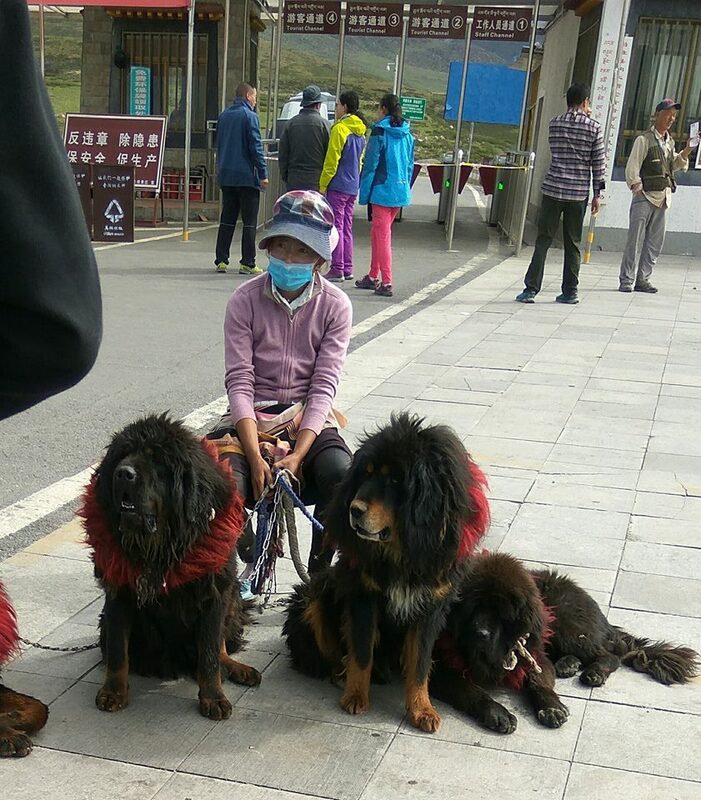 Provided the weather is clear, we’ll be able to see four mountains which are higher than 8000m. 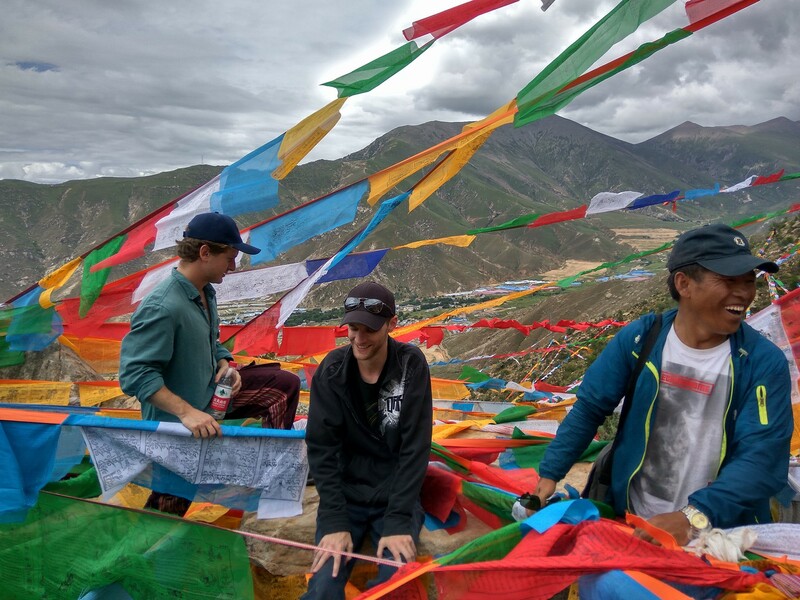 We will reach the surroundings of Everest Base Camp where we might be able to catch our first glimpse of the world’s highest mountain, Everest, or Qomolongma as it is known to the locals. After a meal at Rongphu Monastery Guest House, we will warm ourselves up and brace for what is a fairly cold night at this altitude! Arrival in Lhasa for our last night of the trip. 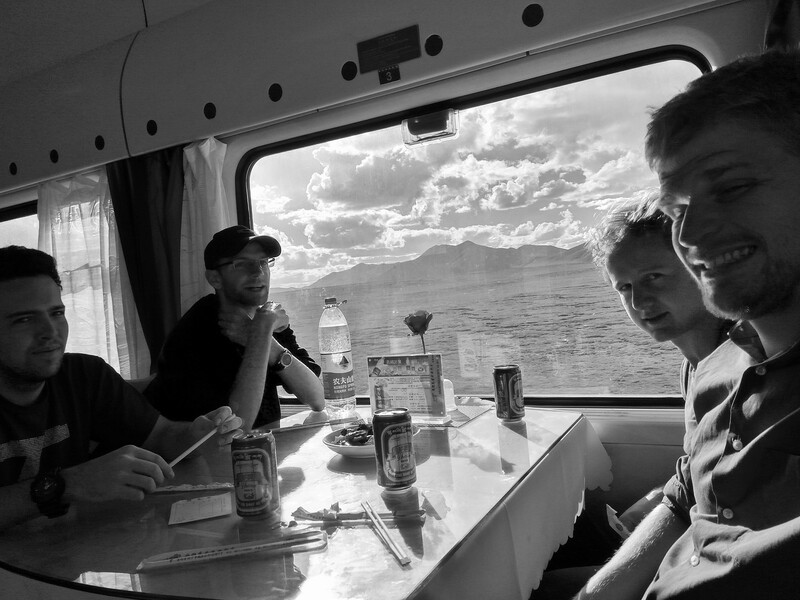 By then, we will be expert at Lhasa’s nightlife and will have a last celebration of our trip, unless you count the train of course! Overnight back in our friendly Tashikatge Hotel. Board the train on the highest railway line in the world for our long journey back to inner China, nothing to worry about though as this train ride promises incredible vistas and lots of cabin fun!